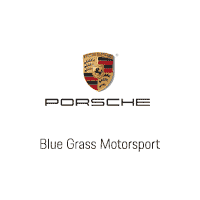 Blue Grass MOTORSPORT is the only Kentucky dealer serving the entire Commonwealth for Porsche, and we have many loyal clients living across the state. Blue Grass has received multiple awards resulting from superior performance in client satisfaction and loyalty, and we’re proud to have been awarded one of the longest string of Porsche Premier Dealer Awards in the country. The service technician (Cesar F.) was very helpful in making my experience as painless as possible. They solved my issue with my Porsche and I was back on the road. I recently completed my transaction with Caroline Nuss and Jonathan Burton at Blue Grass Motorsports on a 2017 CPO Porsche 718 Boxster S. Caroline and Jonathan were incredibly easy to work with, very friendly, totally accessible, knowledgeable, and best of all...NO pressure...absolutely none! Caroline and Jonathan ironed out all the details and made the entire car buying process enjoyable. Purchasing a high dollar automobile sight unseen, from over 1100 miles away, and without a test drive could have been a scary ordeal. However, Caroline and Jonathan did everything possible to ensure I was comfortable with the entire process. The car arrived at my home in the Texas Hill Country yesterday and it is even more perfect than promised. Everything about the car is easily as good or better than Caroline’s & Jonathan’s descriptions and pictures. Look no further than Blue Grass Motorsports and call Caroline and Jonathan for an honest, no hassle, no pressure, FUN car buying experience. Thank you very, very much Caroline and Jonathan! Great experience with our Giulia Ti purchase last week. Thanks go to David, the F&I guy, and sales manager!